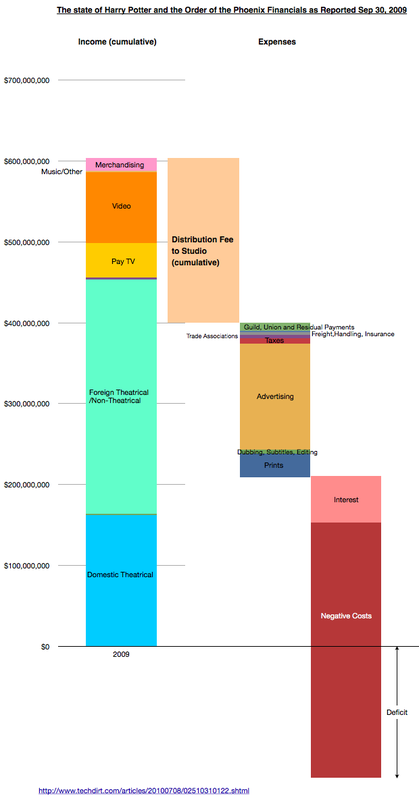 Continuing their discussion of the creative side of Hollywood accounting, Dan and Horace take a look at the way income from movies is distributed and why no movies ever make money. The observations sharpen focus on the over-arching influence distribution has on the creative process. 5by5 | The Critical Path #21: Negative Costs. Compensation based on “Net income” depends on there being a surplus rather than deficit. The problem is that the Fees and claims on income increase as they are defined as a percent of total income so the goal of break-even is a moving target. The Negative Costs are approximated by the production costs as discussed and visualized in the previous podcast here.